Need to deposit a check/s, pay an invoice, notify us of an event you are planning, make a disbursement or change the Fund Advisor information for your Fund? Download the form(s) below. Need to recommend a Grant from your Donor Advised Fund (DAF) or Field of Interest Fund? Download the form below. 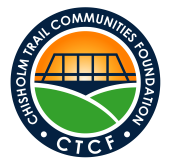 Need CTCF documents to complete your grant application? Download the form(s) below. Do you need sample minutes for your Review Committee meeting or to request a scholarship grant to be distributed from your Fund? Download the form(s) below.